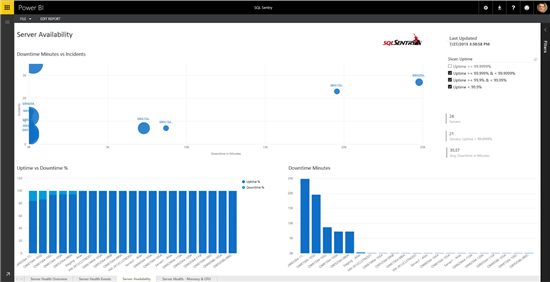 We’re excited to announce that this week’s update to Power BI now offers database performance tracking with the SQL Sentry content pack. This content pack includes a dashboard and reports that help you monitor the SQL Server deployments you track using the SQL Sentry Cloud. 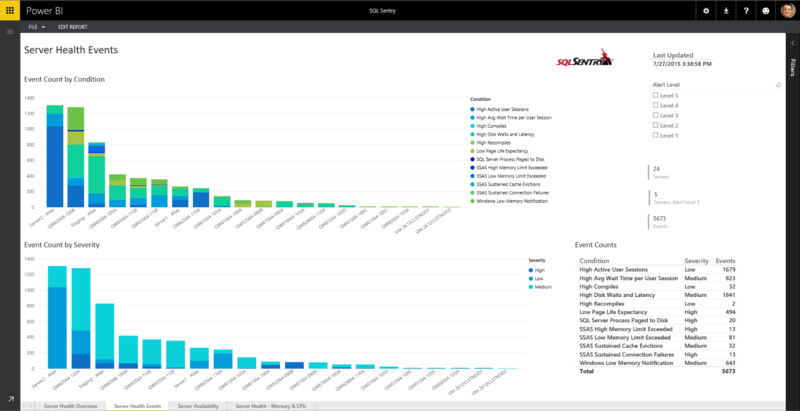 It makes it really easy to share insights throughout your organization. 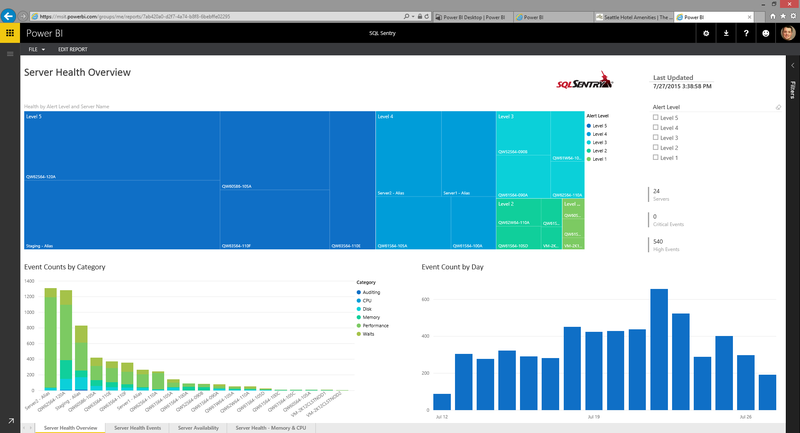 This post details how the Power BI content pack helps you explore your SQL Sentry data. 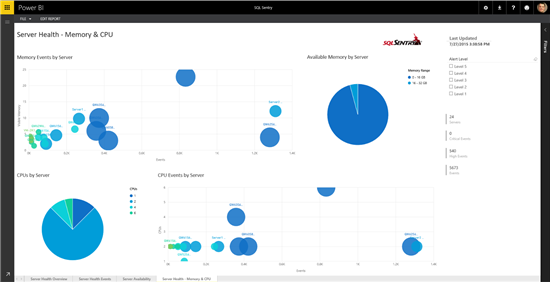 For additional details on how to get started, please see the SQL Sentry content pack for Power BI help page. 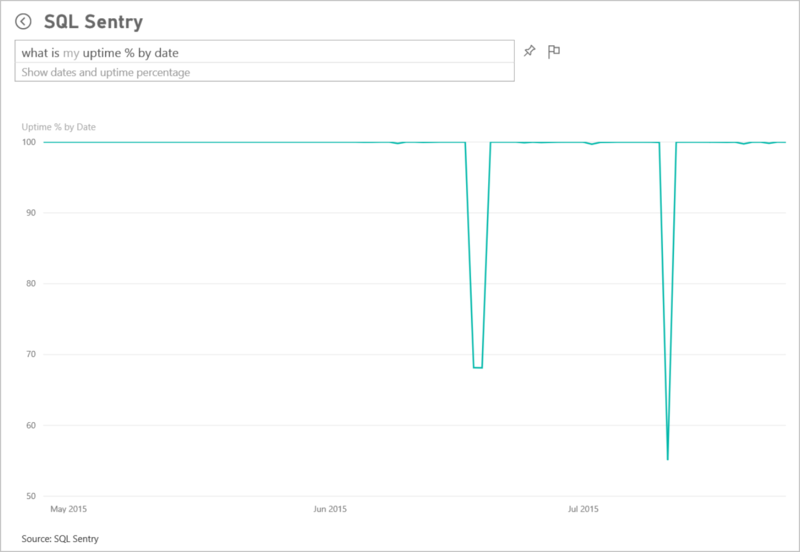 The content pack brings in data about the current state of the servers you monitor in SQL Sentry. 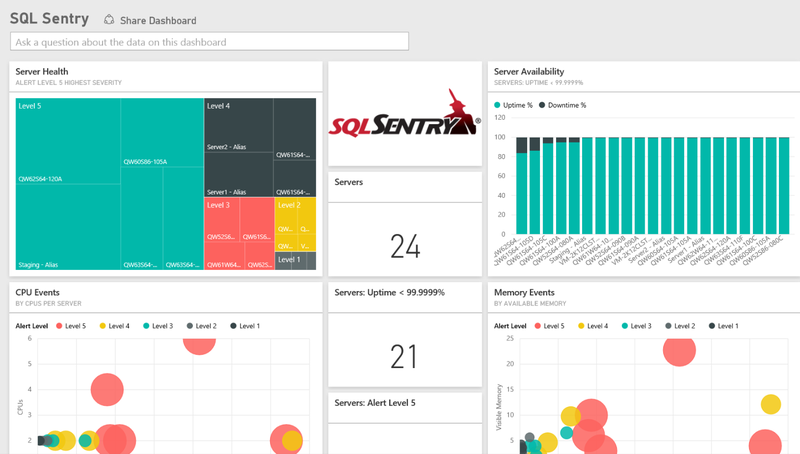 You can monitor server health, memory usage, and downtime. The content pack makes it easy to track which sites and servers are working well and which need your attention. The content pack also helps database administrators communicate deployment health information with their managers. To get started, just connect to your SQL Sentry Cloud account. The content pack includes a report that lets you drill into the details. 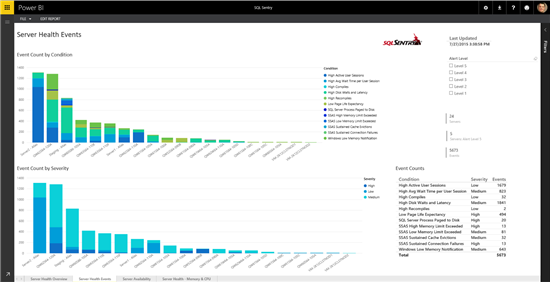 You can use the tree map to quickly see a view of all the events generated by servers and the distribution across the severity levels of events. You can highlight on category to see which servers are affected the most by each type of event. The Server Health Events page lets you see the conditions that most affect server health and break them down by Alert Level. You can see the severity of the events for each server. The Server Availability page shows uptime and downtime for servers in your environment. You can also use the Slicer: Uptime so you can focus on those servers that have the worst availability to rectify issues affecting your users. 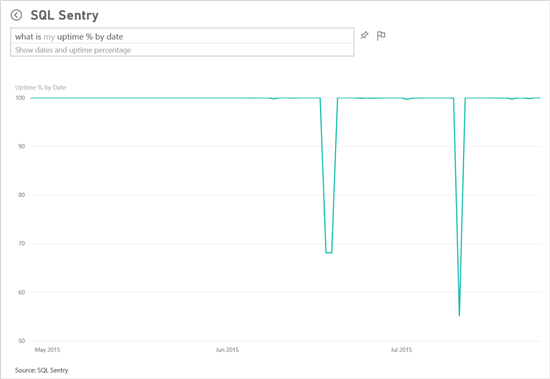 The Server Health – Memory & CPU page helps you understand the relationship between the number of CPUs and events. You can again look across the Alert Level. The reports can be customized to ensure each page include metrics and content that is important to you. You can also use the question box above the dashboard to explore the data. A good question to ask is “what is my uptime % by date”. The result can be pinned or explored further using Power BI’s tools.